If you have uncontrolled blood glucose, this is your most serious diabetes risk. But as you work to bring that number down, you also want to reduce cardiovascular risk. Until recently, researchers hadn’t found firm evidence that one class of drugs was best at reducing those risks, especially heart attacks and strokes, in those dealing with Type 2 diabetes. But a huge new meta-analysis finds that, of the six classes of oral drugs that the U.S. Food and Drug Administration approves when people take only one drug for diabetes, metformin ranks first in overall safety and effectiveness. For example, researchers found that metformin reduces the relative risk of a patient dying from heart disease by about 30 to 40 percent compared to its closest competitor drug, the sulfonylurea class. "We concluded that metformin looks better for cardiovascular mortality than sulfonylureas,” says lead author Nisa Maruthur, MD, of Johns Hopkins University School of Medicine in Baltimore. “It has a long-term safety profile. Metformin is weight-neutral or helps people lose weight, and its gastrointestinal side effects are avoidable or tolerable. Its effect on A1C is similar to other medications." The Annals of Internal Medicine, a peer-reviewed journal of the American College of Physicians, just published the study online ahead of print as “Diabetes Medications as Monotherapy or Metformin-Based Combination Therapy for Type 2 Diabetes.” Its comprehensive meta-analysis includes more than 200 studies with more than 1.4 million people with diabetes. Those studies made head-to-head comparisons of the six drug classes: metformin, sulfonylureas, thiazolidinediones, DPP-4 inhibitors, GLP-1 agonists, and SGLT-2 inhibitors. The Agency for Healthcare Research and Quality (AHRQ), a branch of the U.S. Department of Health and Human Services, commissioned the new study. Only the abstract is free online, but one of the study’s authors, Lisa Wilson, sent me the full text to study when I requested it, and it is also available free online as an AHRQ report, “Diabetes Medications for Adults With Type 2 Diabetes.” Warning: this report is more than 1,200 pages long. Metformin was one of the first oral drugs for diabetes, becoming available here in 1995. Only the sulfonylureas, the first of which became available in the mid-1950s, are older. But the newer drug classes are not necessarily safer or more effective than older drugs, the researchers say, and we know less about their potential side effects. The meta-analysis shows that the relatively new DPP-4 inhibitors, which include Januvia and several other drugs, are clearly less effective at lowering blood glucose levels than metformin and sulfonylureas. Another new class, the SGLT-2 inhibitors, including Invokana, causes yeast infections in 10 percent of its users, although they help people to lose weight. The thiazolidinediones, Avandia and Actos, increase the risk of congestive heart failure. GLP-1 receptor agonists, like Bydureon, Victoza, and Trulicity, increase gastrointestinal side effects, but also help with weight loss. The sulfonylureas, including glyburide and glipizide, cause weight gain and resulted in the highest rates of abnormally low blood glucose among these oral medications. The meta-analysis did not compare these six classes of oral medications for Type 2 diabetes with insulin. All people with Type 1 diabetes rely on insulin, and about one-fourth of people with Type 2 use it, generally after first trying orals. But among the orals, “metformin looks like a clear winner,” Dr. Maruthur says. “This is likely the biggest bit of evidence to guide treatment of Type 2 diabetes for the next two to three years." Metformin is available as a relatively inexpensive generic drug and has long been the most frequently prescribed stand-alone drug for Type 2 diabetes. You can now be confident that it is your first choice when you start to take an oral medication to manage your diabetes. 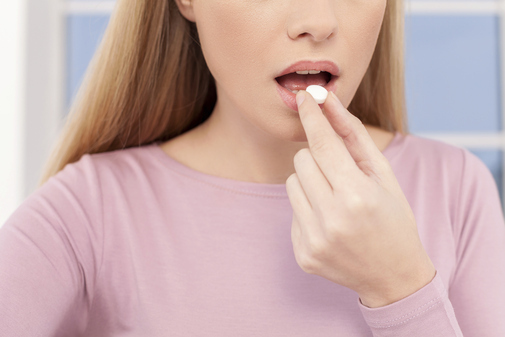 Should You Use a Diabetes Drug to Treat Prediabetes?